Martin Sheen shares with Yogi Times how "The Way" is "disarming, compelling, and inspiring." 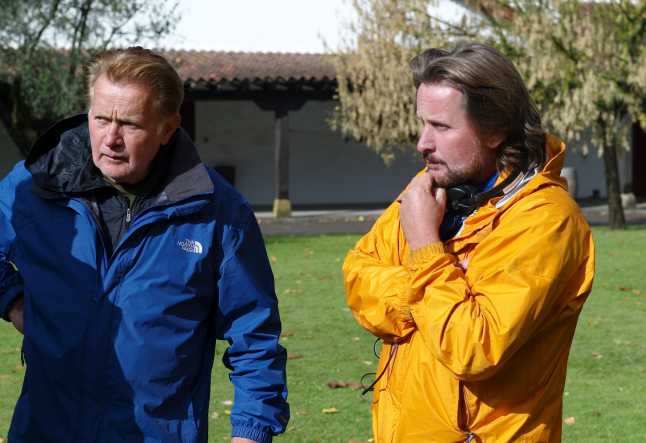 Beautifully shot, entirely in Spain and France, “The Way,” directed by Emilio Estevez and starring Martin Sheen, is an inspirational story about a father’s pilgrimage along the Camino de Santiago, a 500-mile trek from Saint-Jean-Pied-de-Port, France to Santiago de Compostela, Spain. 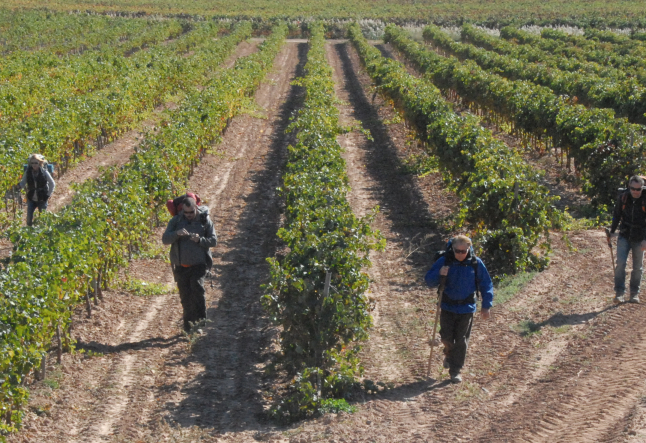 Rest assured, “The Way” is not just a traveler’s diary. “The Way” takes us on a journey of transformation. 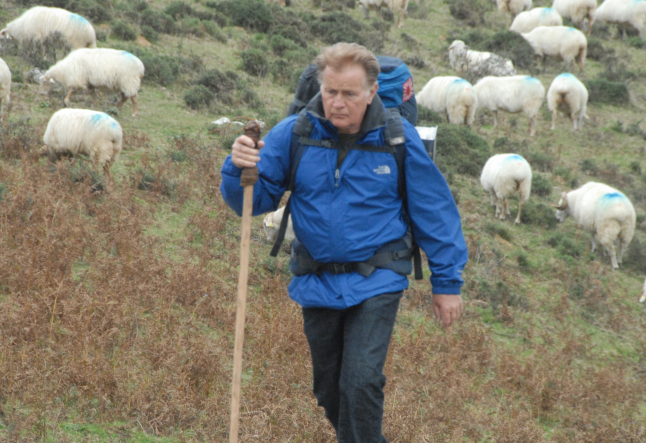 It begins with Tom, a somewhat stern, indefatigable American doctor who travels to France to collect the remains of his son, Tom, who died in a storm while only just beginning the Camino de Santiago. 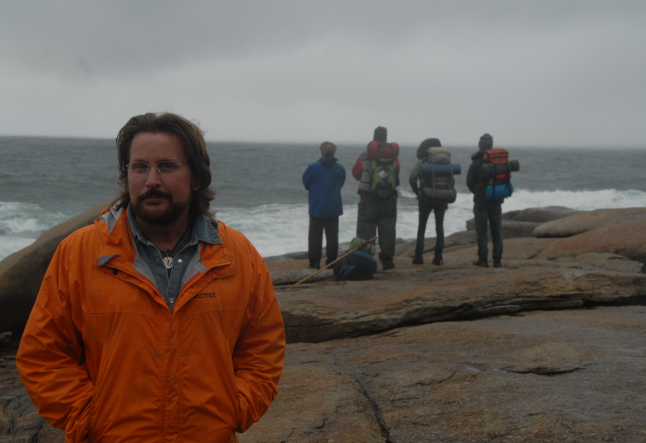 Instead of returning home, Tom decides to make the 500-mile pilgrimage in his son’s honor. Along his travels, he not only establishes new relationships with other pilgrims, but, in essence, Tom meets himself anew. Breaking the typical Hollywood movie mold, “The Way” does not come with action-packed explosion scenes, quick-paced “sound byte” dialogue, or even a story of romantic intrigue. Yet, what “The Way” offers us is a venue to reflect on our own life and insight and inspiration into how we can grow and change (for the better) as a person who, like everyone else, is navigating our way through the twists and turns of life. I had an opportunity to discuss “The Way” with Martin Sheen, who, with Emilio, is in the midst of a 55-day cross-country bus tour to promote the movie. Martin, who spoke with eloquence, enthusiasm, and graciousness, not only shared his passion for “The Way,” but he also gave insight into travels on the tour bus, his own outlook on life, as well as his 30-year daily Bikram yoga practice. Yogi Times (YT): Good afternoon, Martin. How is the tour going? How is “The Way” being received around the country? MS: It has been a long, arduous journey, but equally rewarding. We (Emilio and I) weren’t sure how “The Way” would be received, however in every city and every stop, we are just astonished. We couldn’t be happier with the response and how the movie has been embraced and celebrated. Starting out, we knew we had something special with this movie, now it has been confirmed across the country. YT: I’m really happy to hear this because this movie does not fall into the typical Hollywood mold. MS: No, we’re not Hollywood at all. We didn’t feel comfortable giving the movie away to a production company and not having a say in how it would be promoted or presented, so that’s why we decided to do the tour on our own. We have the passion and commitment and we have been working on it for a couple years, so we felt more comfortable doing it for ourselves. YT: It sounds like a real labor of love. One of the things people have told me after watching the movie is how much they want to go on the 500-mile pilgrimage themselves! 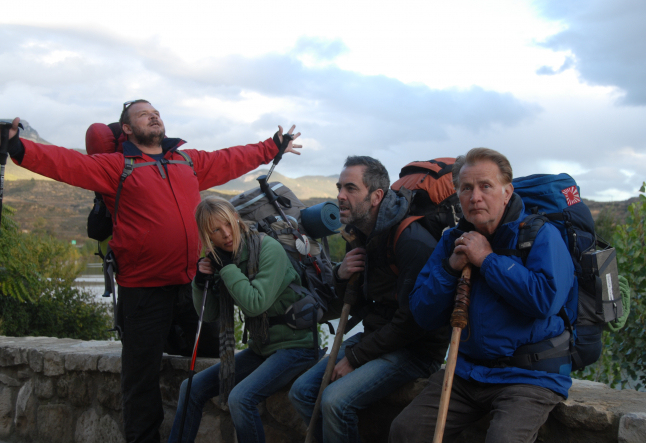 How much of the actual Camino de Santiago did you walk during the filming? MS: We reckon we walked about half the distance. YT: That in itself is inspiring—that's a lot of walking! I hear that you are a Bikram yoga practitioner. Were you able to practice during filming? MS: Oh, yes! It’s a daily practice. I started practicing in 1981. I do it in the morning almost immediately when I wake up. It starts my day. I rarely miss. If I do miss a day, I feel it. YT: If Daniel (the son) represents the yogi and Tom is the poster boy for the typical driven, business-minded Westerner, who do you relate to most? MS: Well, people don’t like to be pushed out of their comfort zone. I have to admit that I fall into that category! People don’t generally like change. The road (in “The Way”) is a symbol of the journey, but also a symbol for inner transformation. Pilgrims prepare in advance, they pack—they usually over pack, actually—and along the way they start giving things away, shedding their possessions, and they also start letting go of inner baggage, dark thoughts, and bad habits… They make lasting change. YT: Out of all the pilgrims in the movie, it seems that Tom is able to make this lasting change. Do you think it takes extreme circumstances, like the death of a loved one or 500-mile trek, for someone to make lasting change in their life? MS: Whether people realize it or not they are trying to know their inner self. They are looking to combine the will of the spirit with the work of the flesh. I don’t think change has to be brought on by extreme circumstance, it can happen anytime. However, it does often occur as a result of things like loss of a loved one or the end of a marriage, through major life changes. YT: Such circumstances certainly jolt a person to reflect and learn, whether they want to or not! If there was something that you want people to learn from watching “The Way,” a take-away, that is, what would it be? MS: To have a sense of compassion and acceptance for themselves, a love for themselves which, in turn, means that they can have compassion and love others. If they could walk away knowing that they have a place in this world, that they are part of a community of people living on this earth, that would be most rewarding. YT: If you had to choose 3 words to describe “The Way” what would they be? MS: Disarming, compelling, and inspiring. YT: Thank you, Martin, for sharing your time with the Yogi Times community. I wish you and Emilio great success with “The Way” and a wonderful rest of the tour. “Disarming, compelling, and inspiring,” “The Way” delivers on all accounts. Watch the trailer and catch “The Way” (theway-themovie.com) in theatres starting October 7th.